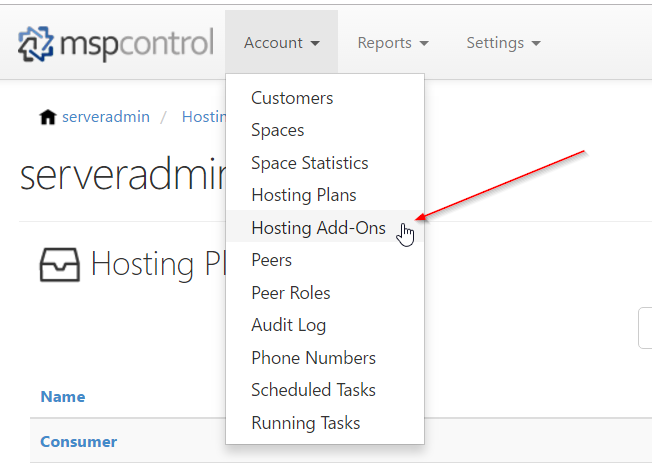 This article describes best practice to manage hosting plans and add-ons. 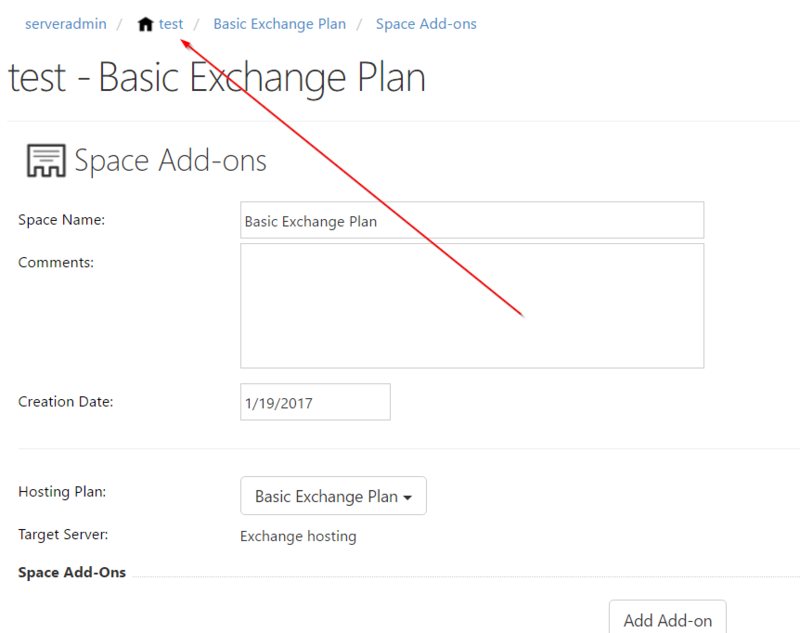 As your know from Hosting plan description, changing Hosting Plan quotas will change quotas for all Hosting Spaces created based on this plan. It means that best way to not to spawn hosting plans is to keep one very basic plan per virtual server. Determine what is going be allowed for absolutely every customer and setup it in hosting plan. Add rest limits with hosting add-ons. You are going to host Hosted Organizations and Exchange. You decided that minimal configuration for every customer is 1 domain and 1 hosted organization. Let's configure hosting plan according minimum requirements. Go to Account > Hosting Plans and create new hosting plan. 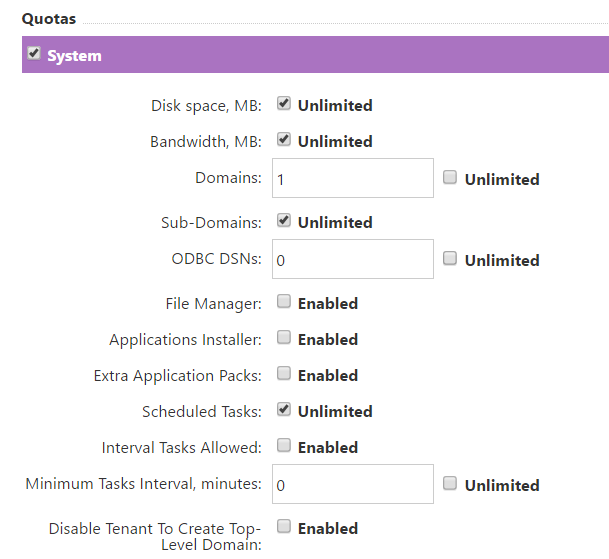 Choose Unlimited disk space, bandwidth, sub-domains and scheduled tasks. Allow 1 domain. 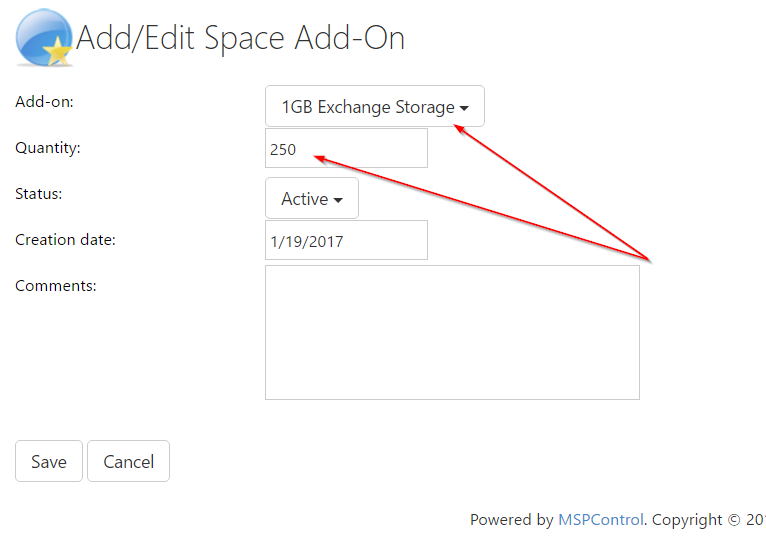 Explanation: disk space is unlimited because we can manage Exchange space later with Exchange quotas. Bandwidth unlimited because nobody limit bandwidth for Exchange. Sub-domains unlimited because there is no reason to prevent customer from having as many sub-domain as he wants. 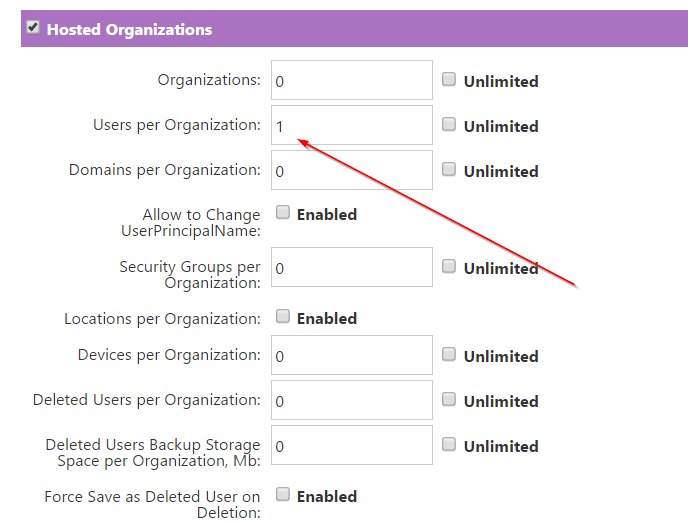 Scheduled tasks unlimited because there is usually no reason to limit it within hosted exchange. Choose 1 Hosted Organization, unlimited Domains, allow to change UPN, unlimited Security Groups, enable Locations. Explanation: unlimited domains because we already limited top-level domain count in System quota. Unlimited security groups because there is usually no reason to limit it. Change UPN and Locations are just good features to have for everyone by default. Choose unlimlted contacts, distribution lists, public folders, mailbox rules, recoverable items, shared mailboxes, resource mailboxes, journaling rules. Customer can't use any of above without having usual mailboxes and above things are not paid anyway usually. If you have reason to set it up to some exact number, feel free to do it according your needs and plans. 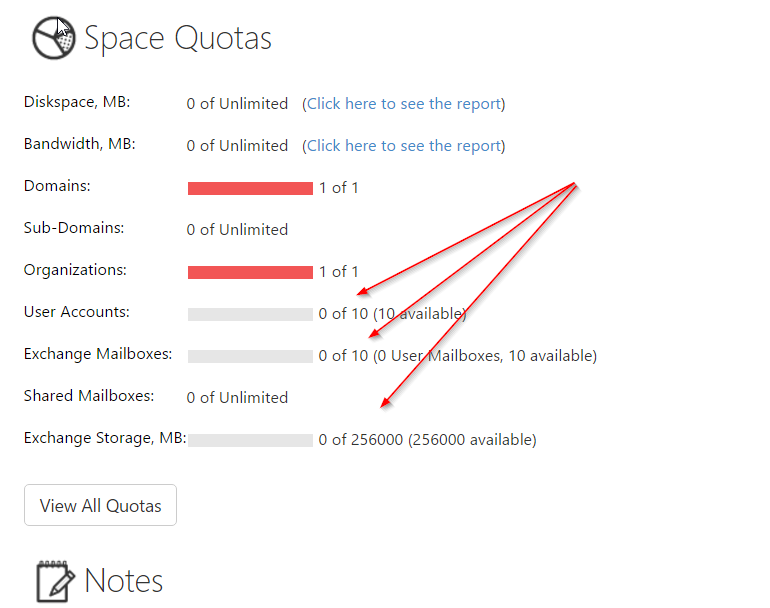 Choose limits for keep deleted items, maximum recipients, maximum send and recieve message size. These things used for absolutely every Exchange mailbox and we are free to setup it in basic hosting plan. Save hosting plan, it's done. Let's say we need to allow MAPI access for customer. We give this add-on a meaningful name like Enable MAPI for Exchange and choose MAPI Access Allowed. That's it, nothing else. 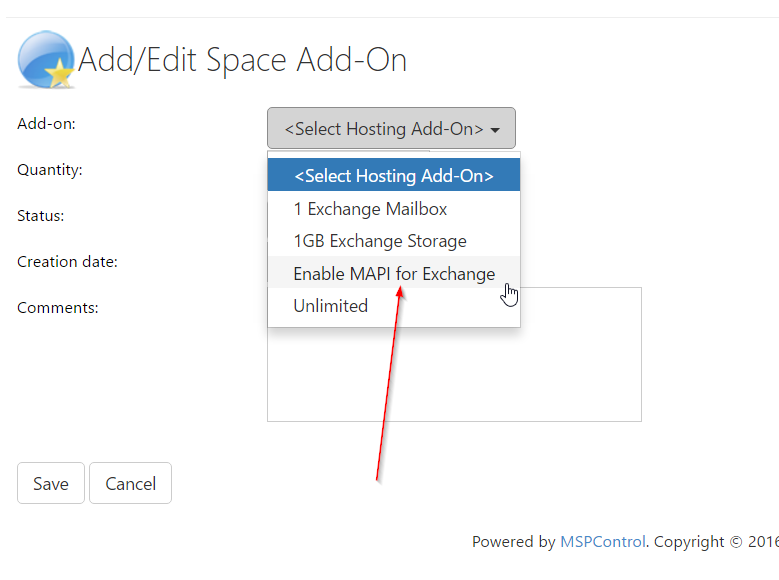 Save add-on and click create Hosting Add-on again. This time we will create add-on allowing us to create mailboxes. In our example we'll call it 1 Exchange Mailbox. 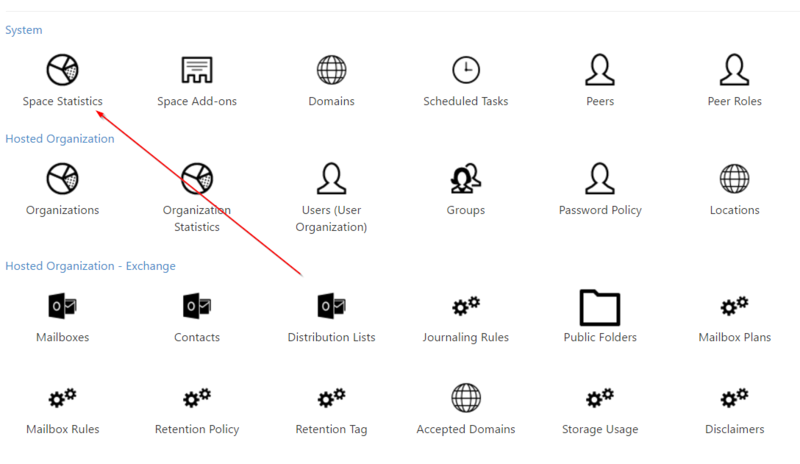 Put 1 to Mailboxes per Organization quota and 1 to Users per Organization quota because we can't create mailbox without creating user. Save, click create Hosting Add-on again. Now we will create add-on for Exchange storage. We will call it 1GB Exchange Storage. 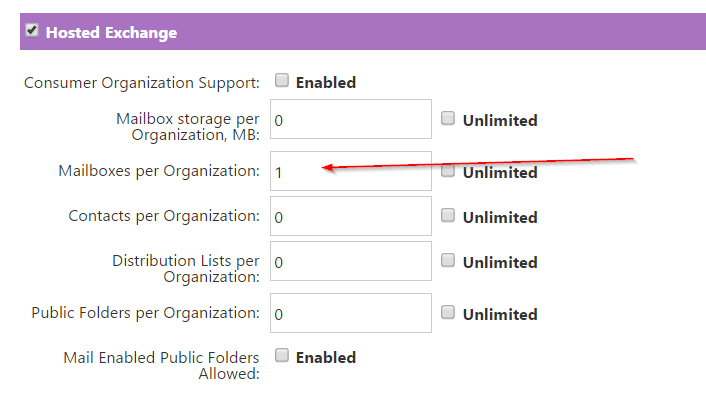 Put 1024 to Mailbox storage per Organization, MB, save add-on. 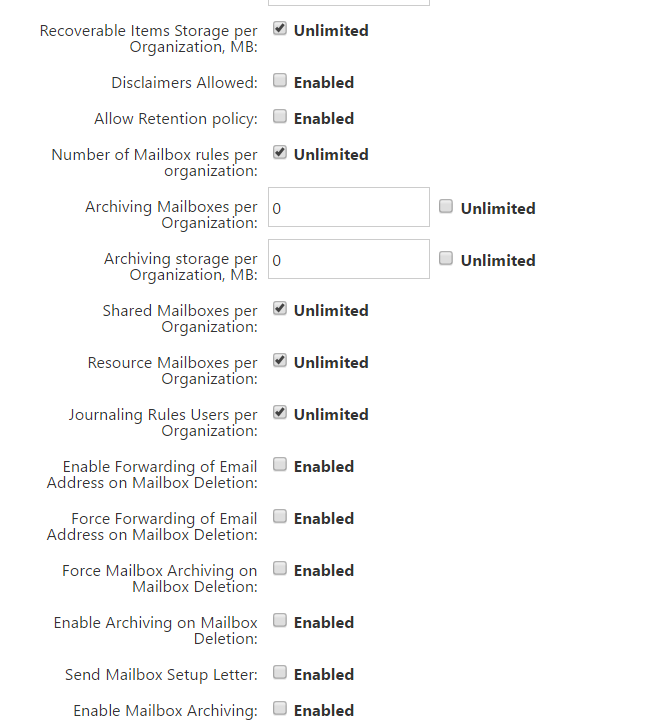 Let's say you have request for 10 mailboxes 25gb each with MAPI access. Create customer, create hosting space based on our basic hosting plan created previously in this article. Now let's fit customer's space with request. From customer's main page we go to Space Add-ons and add 3 add-ons we created previously. Choose Enable MAPI for Exchange add-on, leave quantity 1 (no need to allow this addon more than 1 time) and click Save. 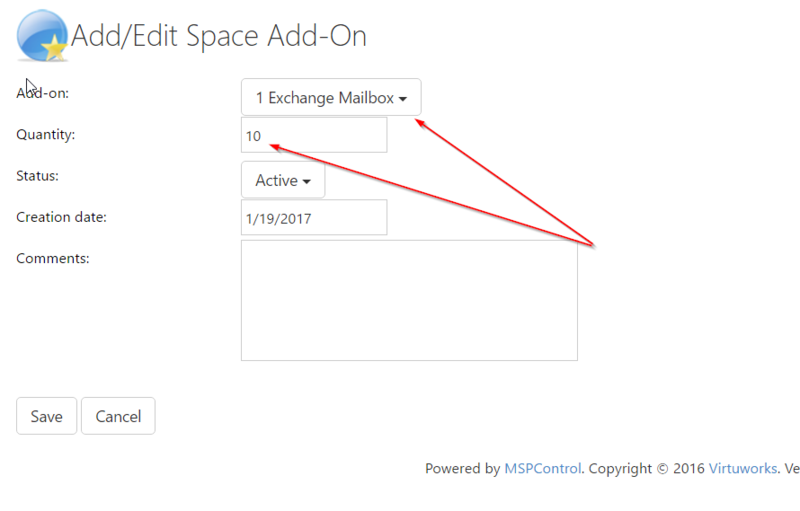 Click Add Add-on again and choose 1 Exchange Mailbox add-on, change quantity to 10. This way we will apply 1 mailbox 10 times, means 10 mailboxes in total. Save it. 10 mailboxes 25gb each is 250gb of space in total. It means we need to add 1gb Exchange Storage add-on with quantity 250. Save it. Done! 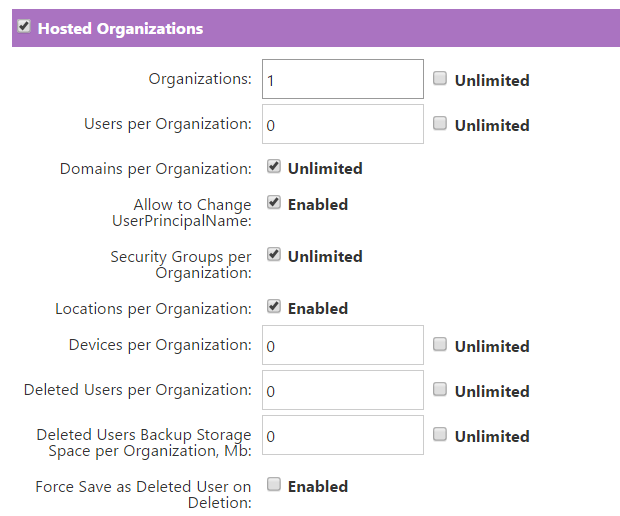 Now you hit your goal and have resources in current hosting space to create 10 mailboxes 25gb, MAPI-allowed. To ensure that it's true, we can go back to customer's main page by clicking on customer name (name is test in our example) and click to Space Statistics button. Last step is to create global or hosted organization mailbox plan with corresponding quotas. There is nothing special in this procedure, just follow the manual. Done! You can easiliy manage amount of resources allowed for customer using some basic hosting plan and set of hosting add-ons.